This data package is a reformatted version of “SBC LTER: Reef: Kelp Forest Community Dynamics: Fish abundance”, and has been reformatted according to a flexible intermediate data model for ecological community surveys and studies of composition and biodiversity. The data model is named “ecocomDP”, for “ecological community design pattern” and was developed by the Environmental Data Initiative. For more information on the ecocomDP project, contact EDI, or see EDI’s data package design webpage. Using similar formats for similar data types will accelerate synthesis and makes reuse more efficient. This dataset will be of interest to two LTER working groups: “Synchrony”, and “Metacommunities”. This data package was derived from the data package: http://dx.doi.org/doi:10.6073/pasta/6134f68762279edc58acbc0416501d3e. Schematic view of dataset levels. A flexible intermediate (L1, middle) lies between datasets of primary observations (L0, left) and the aggregated views used by synthesis projects. The featured data package is re-designed from the original package’ Level1 format to the Level2 ecocomDP design pattern. 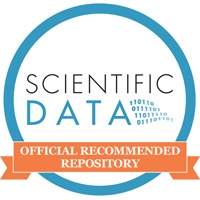 The original data package was previously selected as a featured data package by EDI here. The data package describes the abundance and size of fish species as part of SBCLTER’s kelp forest monitoring program to track long-term patterns in species abundance and diversity. This study began in 2000 in the Santa Barbara Channel, California, USA, and the dataset is updated periodically throughout the year. The abundance and size of all taxa of resident kelp forest fish encountered along permanent transects are recorded at nine reef sites located along the mainland coast of the Santa Barbara Channel and at two sites on the north side of Santa Cruz Island. These sites reflect several oceanographic regimes in the channel and vary in distance from sources of terrestrial runoff. In these surveys, fish were counted in either a 40x2m benthic quadrat, or in the water parcel 0-2m off the bottom over the same area. Reed D. (2018) Derived data product for: SBC LTER: Reef: Kelp Forest Community Dynamics: Fish abundance . Environmental Data Initiative. http://dx.doi.org/10.6073/pasta/1bf29fe9a889a36cbda58340d692b487.